Nik Kershaw (born Nicholas David Kershaw, 1 March 1958, Bristol, England) is an English singer-songwriter. This jazz-funk guitarist was a mid 1980s teen idol, his 50 weeks on the UK Singles Chart in 1984 beat all other soloists. Kershaw appeared at Live Aid, and penned hits for Let Loose, The Hollies and a #1 for Chesney Hawkes. The 90s saw him writing for/with, amongst others: Chesney Hawkes, Cliff Richard, Bonnie Tyler, Lulu, Ronan Keating, Jason Donovan, Michael W Smith, Connah Reeves, Nick Carter, The Hollies, Colin Blunstone, Imogen Heap, Archbishop Desmond Tutu, Darius, Gary Barlow and Let Loose. Nik Kershaw plays the Royal Theatre Castlebar on 2nd May 2010. 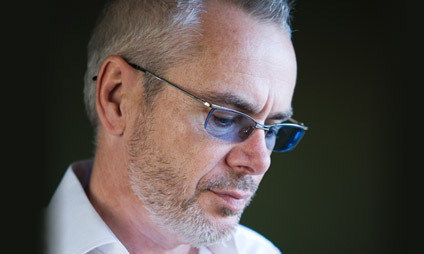 After a break for a number of years to concentrate of songwriting, he briefly poked his Artiste's head out of the trenches to work with Tony Banks (Genesis) and to record a self penned duet with Elton John (little fella, glasses) but didn't return to making his own records until 1998 when he released the critically acclaimed "15 Minutes" through Eagle Records. The follow-up album, To Be Frank, was released in 2001. Over the years, Kershaw has collaborated on albums with artists such as Elton John, Bonnie Tyler, Tony Banks, Les Rythmes Digitales, Michael W. Smith and Imogen Heap.